I've installed Debian Wheezy, with the LXDE desktop environment. The default Clearlooks theme is fine, but it doesn't work for gtk3 apps (like Transmission). Which theme can I use, so that both gtk2 and gtk3 apps will look normal? Finally I managed to find a theme that works - Ambiance from Ubuntu Precise. Newer themes will not work for gtk3 apps. All you need to do is extract the archive and copy the Ambiance folder to /usr/share/themes, then select it from lxappearance. One option is to install the clearlooks-phenix-theme package for Debian Squeeze. 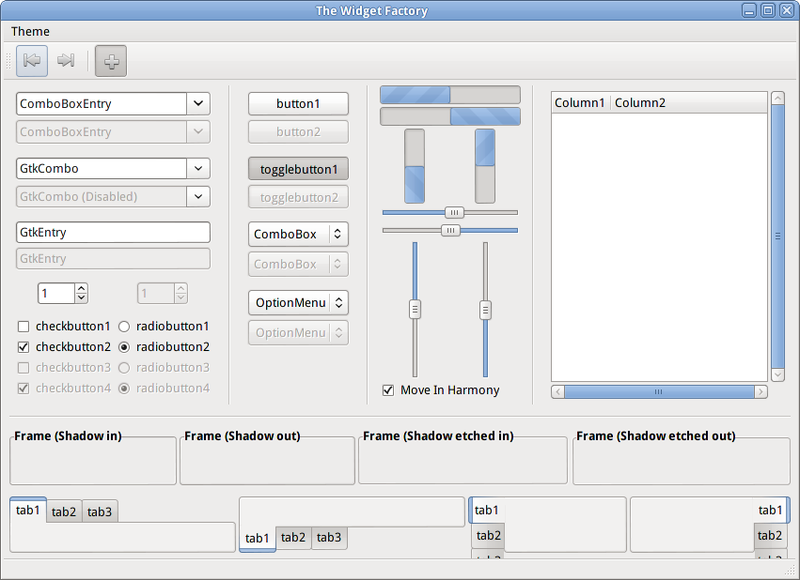 This provides themes for GTK2, GTK3, XFce4, Metacity and Openbox. Not the answer you're looking for? Browse other questions tagged debian lxde theme gtk3 gtk2 or ask your own question. figuring out which theme am I running under Debian-mate?